Fishing boats in the harbour of La Scie, May 2004. The economy of Newfoundland and Labrador is heavily dependent on natural resources. For centuries the most important economic activity was cod fishing. Farming was a supplementary activity for many fishers, but the poor soil and harsh climate prevented any significant agricultural development. Exploitation of the province’s rich forestry and mineral resources expanded in the late 19th and early 20th centuries. 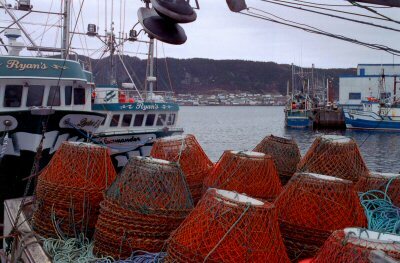 Since the 1960s, the province has experienced chronic economic hardship because of declining fish stocks and fluctuating world demand for many of its resource-based products. Fishing, pulp and paper manufacturing, and iron ore mining remain major activities. However, they generally do not provide sufficient jobs or income to alleviate widespread poverty and a high rate of unemployment. In 2007 expanding exportation of oil and resources was due to a substantial growth of the economy of Newfoundland and Labrador. The unemplyment rate went down by 1.2 percent to 13.6 percent, the lowest level in 26 years. Despite that, the province still has the highest unemployment rate in Canada, and financial assistance from the federal government is essential to the well-being of the population. 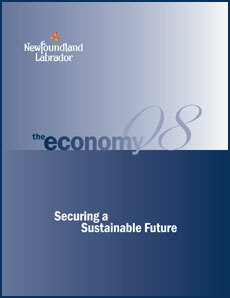 For further information on the economy of Newfoundland I would like to refer to the report 'The Economy 08', a publication of The Goverment of Newfoundland and Labrador.